A long time ago, Billa and Ranga were a pair (in)famous criminals in TamilNadu. With Rajnikanth having tasted success as Billa(just the name though. The movie was a remake of the Amitabh Bachan starrer Don and not related to the criminal), Ranga was a natural choice as the name for another movie. But Ranga failed to emulate the success of the earlier movie. And with good reason. Though is starts with an interesting premise, it turns into a battle of wits, that is not particularly interesting, between Rajni and 'Karate' Mani. Ranganathan(Rajnikanth) is a man who is dejected about not finding a job. He runs into Raju('Karate' Mani), a career thief. While Ranga advises Raju to give up his life of crime, Raju talks to Ranga about giving up his ideals and joining him. Both their advices work as Raju reforms while Ranga embarks upon a new career as a thief. Their lives intersect again when Ranga is hired to kidnap the son of a rich man(ARS), who Raju swears to protect. What Ranga doesn't know is that the kid's mother(K.R.Vijaya) is none other than his sister, from whom he had been separated as a kid. Ranga starts off with an interesting premise. The idea of Rajnikanth and Mani accepting each others' advice and turning their lives upside down, though in directly opposite ways, is intriguing. But the opportunities offered by this exchange of ideals are not exploited. Instead, the movie turns into a childish game of wits between the two. The behavior of both Rajni and Mani after they meet in the kid's house doesn't make a lot of sense. Rajni moves into the house to turn the affections of the family members away from Mani while Mani keeps mum about Rajni's real intentions, even when he knows the kid is in danger. Neither decision is realistic and serves to take all semblance of seriousness away from the movie. Ofcourse we realise in a little while, the logic behind Rajni's decision. It turns the movie into a comedy by introducing a variety of situations where Rajni gains the confidence of the family at the expense of Mani. This segment drags on for quite some time though only a few of the situations(like Mani being caught with drinks) are clever. With Rajni being K.R.Vijaya's longlost brother, there is no dearth of sentiments either once the truth is revealed. While the reactions of Rajnikanth and K.R.Vijaya to this revelation are natural, ARS' behavior is difficult to digest. Radhika is a completely superfluous character who is on hand purely to take care of the romantic interest and the need to insert duets. She is a club owner and when she attempts to dupe Rajni by posing as her homely, traditional sister, it dupes us into thinking that this romantic track too might hold some interest. But the issues are cleared a little too soon, in a completely uninteresting manner and she moves out of sight, reappearing only to dream up a duet. 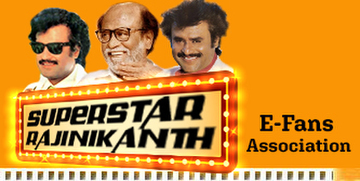 Rajnikanth shows signs of his comic talent during his taunting of Mani after one-upping him. But Mani is rather rigid and displays no voice modulation either. Shankar Ganesh come up with some dappanguthu tunes like Purushandhaan... and Pattukottai Ammalu... for the duets. But Toothpaste Irukku... is quite catchy(in a childish kind of way!) and was quite popular in those days.